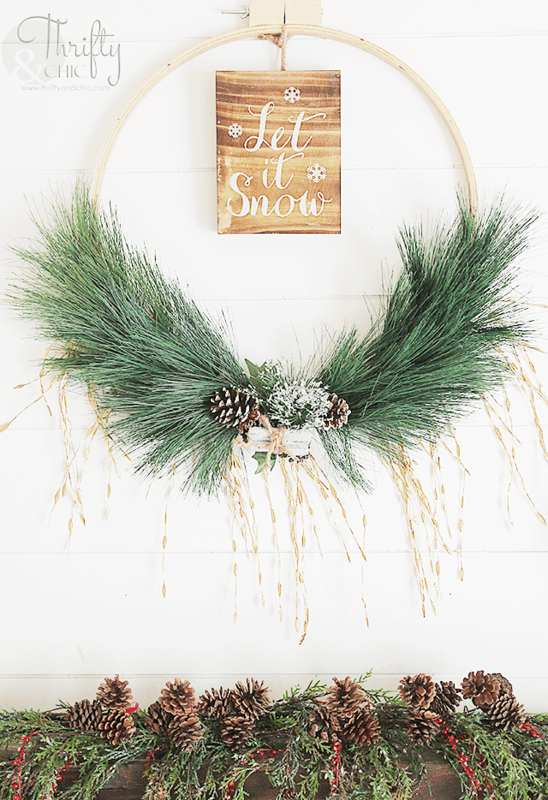 Enjoy these DIY Christmas wreaths. 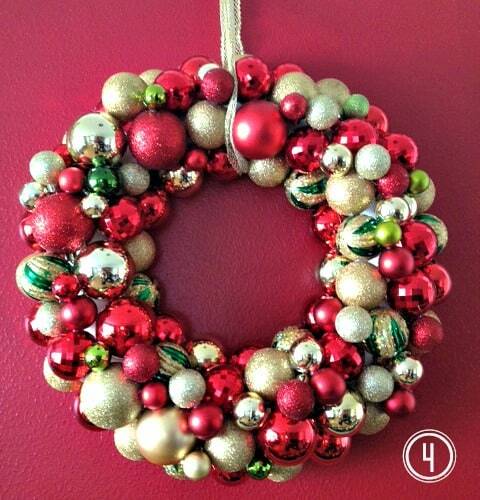 Making a Christmas wreath is a fun way to celebrate and decorate for the holidays. Here are some great ideas that are both unique and easy to make right at home. 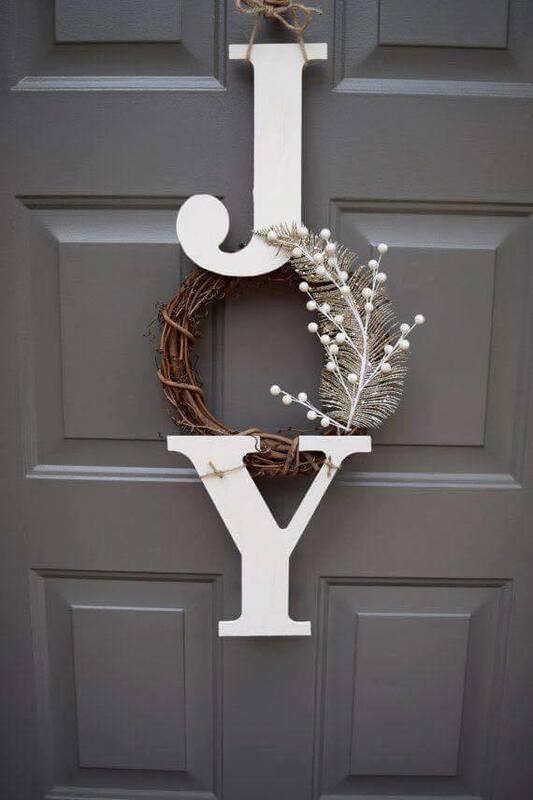 Christmas “Joy” Wreath. 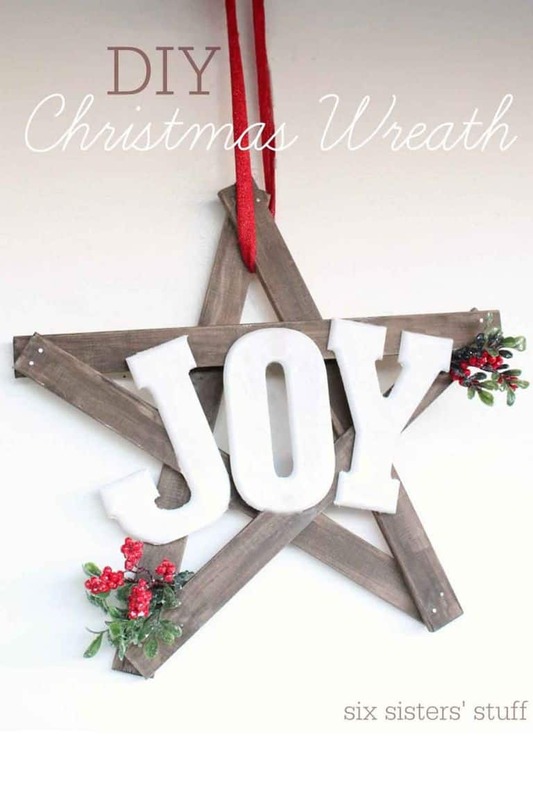 Use stained wood, white lettering, and red garnishes to craft this “joyful” wreath. Chalkboard Wall Message Board + Wreath. 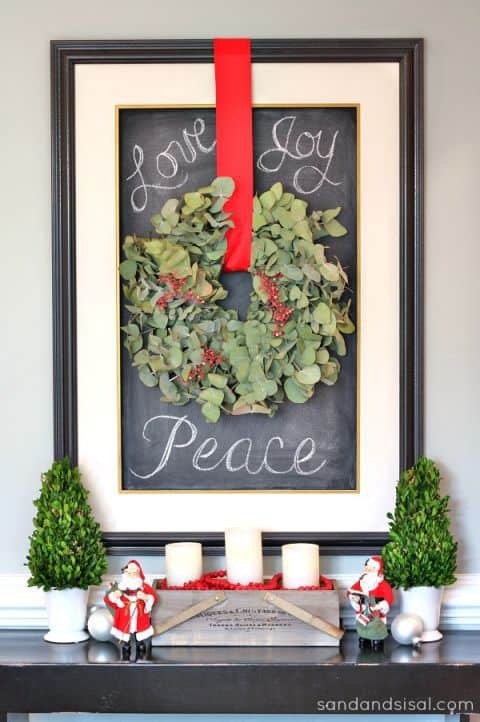 Tie a festive eucalyptus wreath with a red ribbon over a chalkboard message board for a multipurpose holiday display. Holly Berry DIY Ribbon Christmas Wreath. 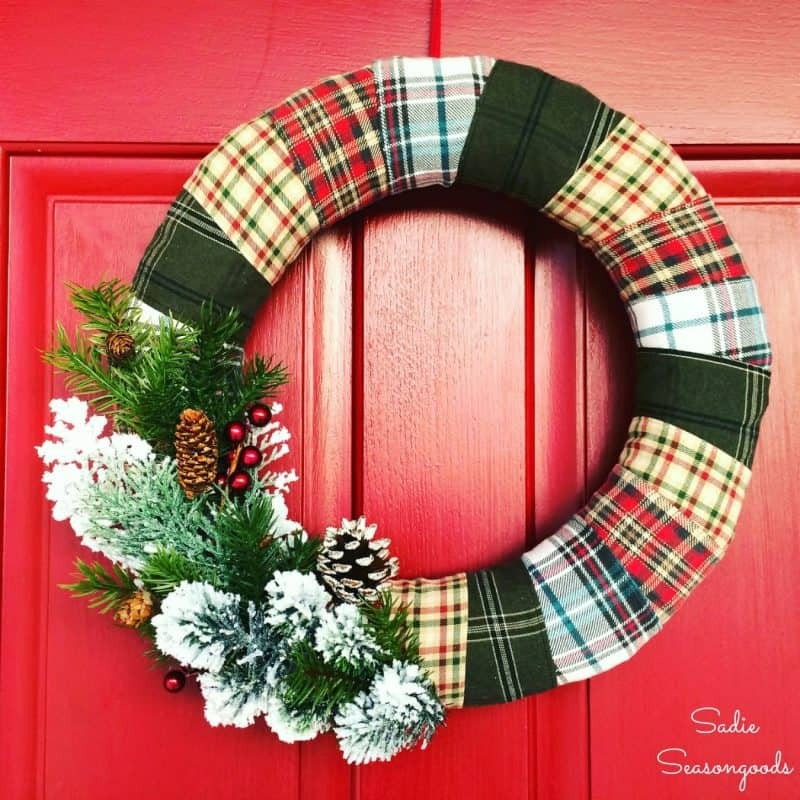 Your door will look berry ready for the holidays with this easy DIY. Peppermint Monogram Wreath. 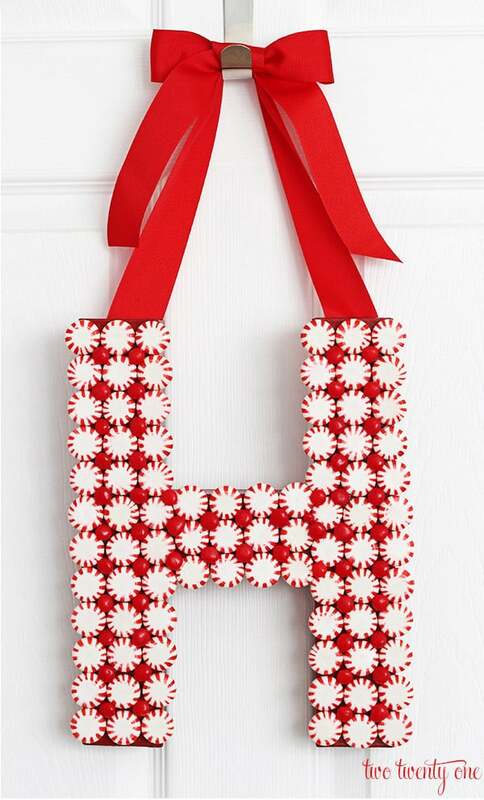 This candy-coated decoration will be a sweet way to greet guests at your front door. Easy DIY Magnolia Wreath. 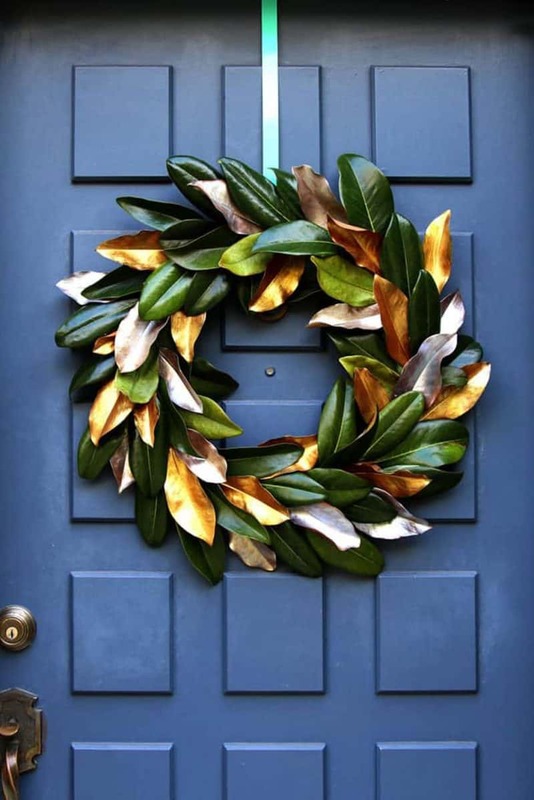 Use fresh or dried leaves in this magnolia wreath that might even make Chip and Joanna jealous. ‘Let it Snow’ Christmas Wreath. If the weather outside isn’t mimicking a winter wonderland, create one of your own with this faux-snow-covered accent. DIY Pine Cone Wreath. 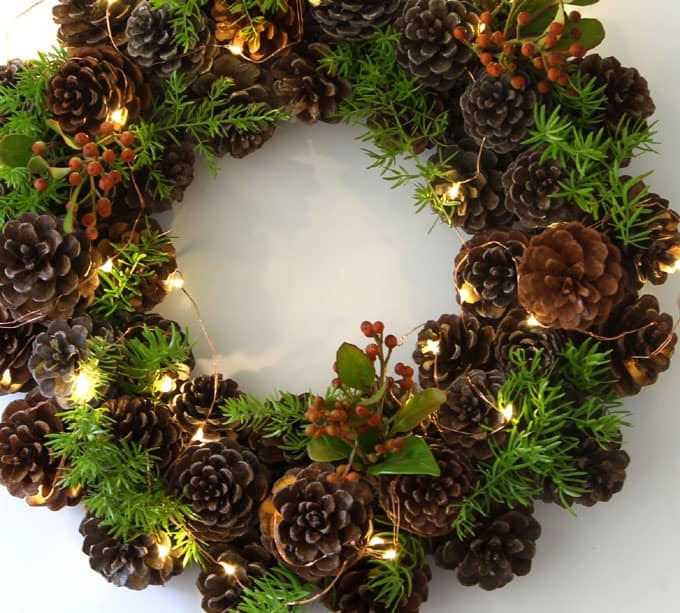 The rest of the wreath might be simple, but the lights and pine cones make it memorable. This embroidery hoop wreath is an easy method they are so simple and elegant you will love how it turns out! DIY Christmas Poinsettia Wreath. Combine your favorite plaid or gingham ribbon with a faux poinsettia flower for a pretty but easy wreath. 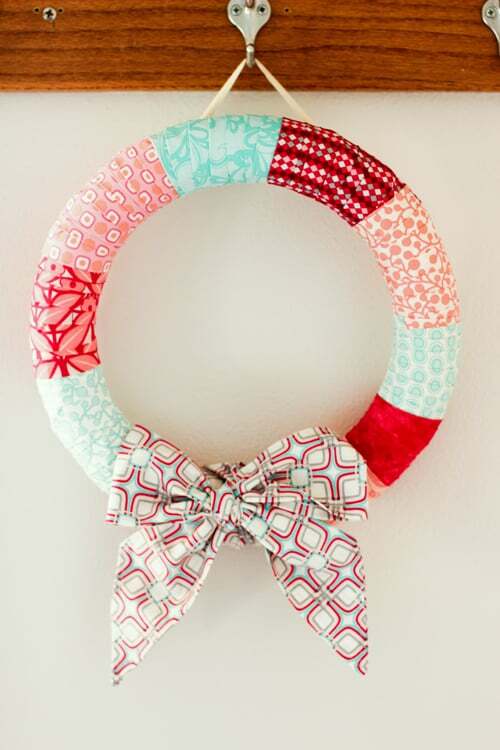 Wrapped Flannel Holiday Wreath. A great transition piece between seasons, flannel fabric provides an ode to fall while the faux trimmings add a wintery touch. 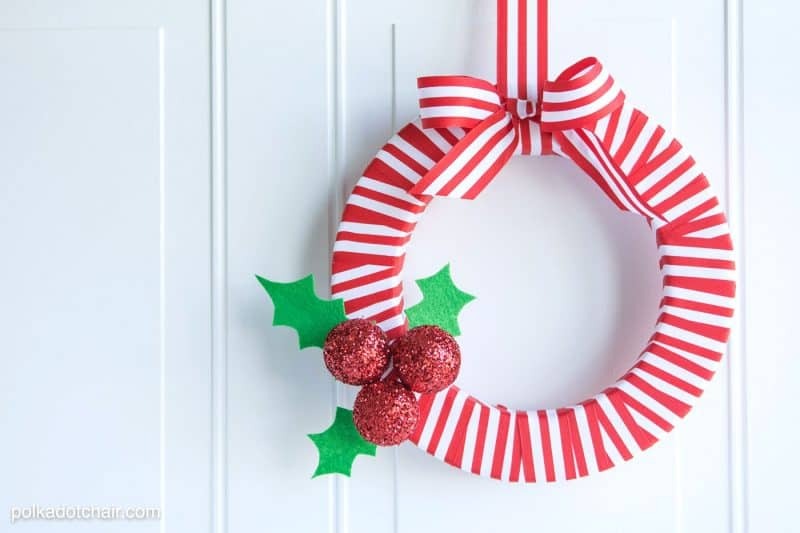 DIY Christmas Balloon Wreath. 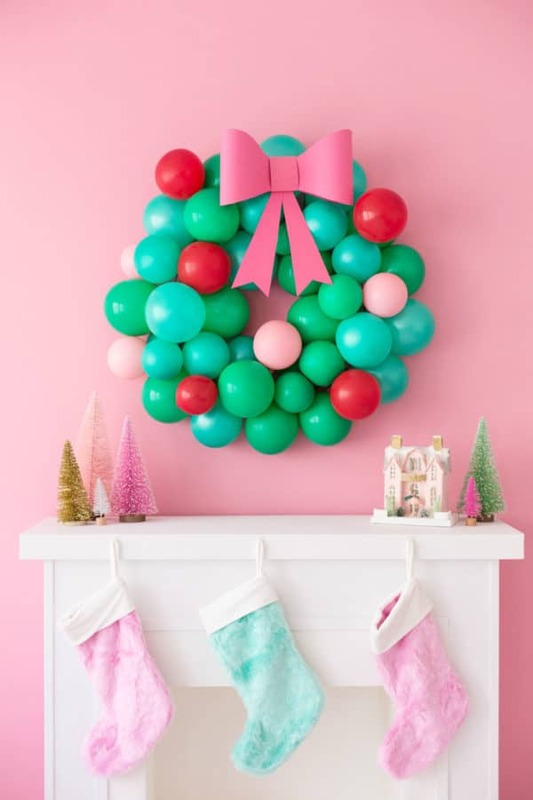 Color coordinate this bright balloon wreath with the rest of your holiday decor. 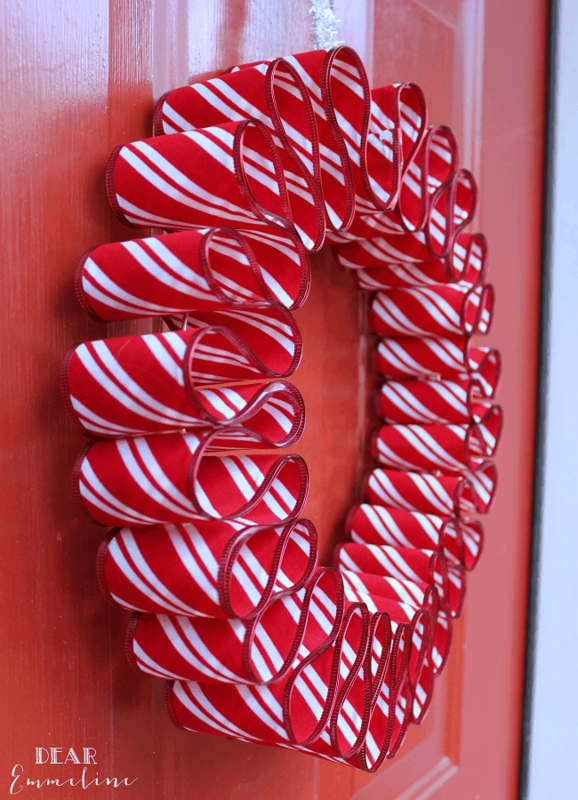 This Candy Cane Wreath from Trendy & Wild is simple and fun. 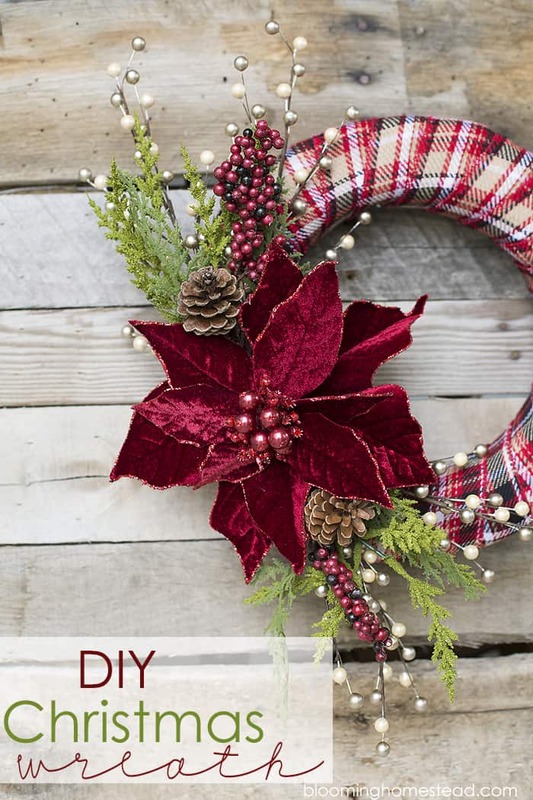 Make this quick and festive wreath tutorial that can be adapted to any season or occasion. Better yet, it will use up all your fabric scraps. So grab a styrofoam wreath form and get wrapping. 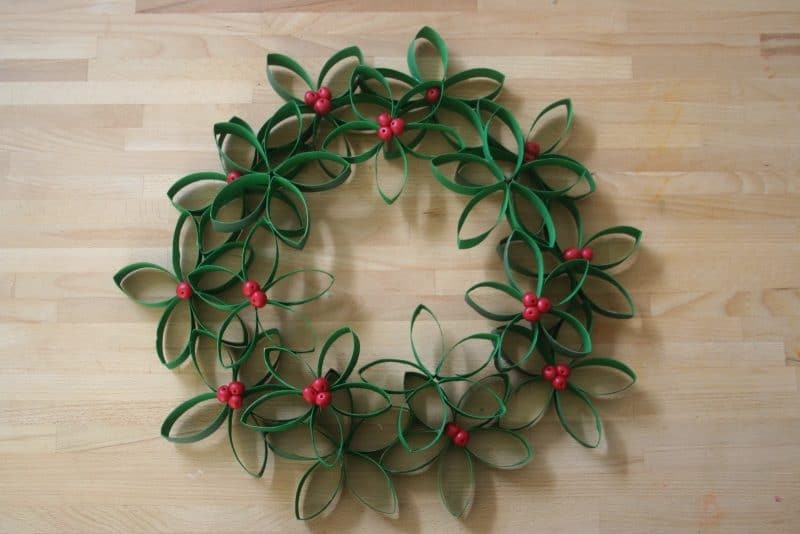 If you are looking at making wreaths you might also like this poinsettia wreath. This is a wire wreath. 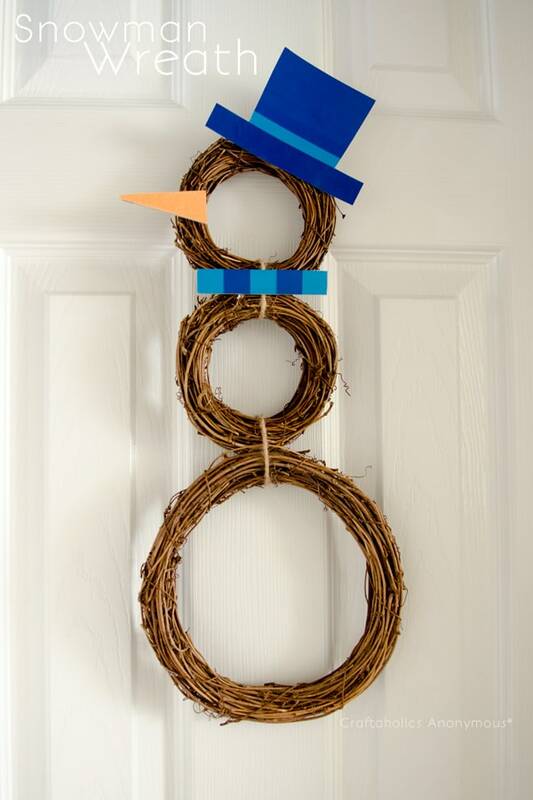 Snowman Wreath. 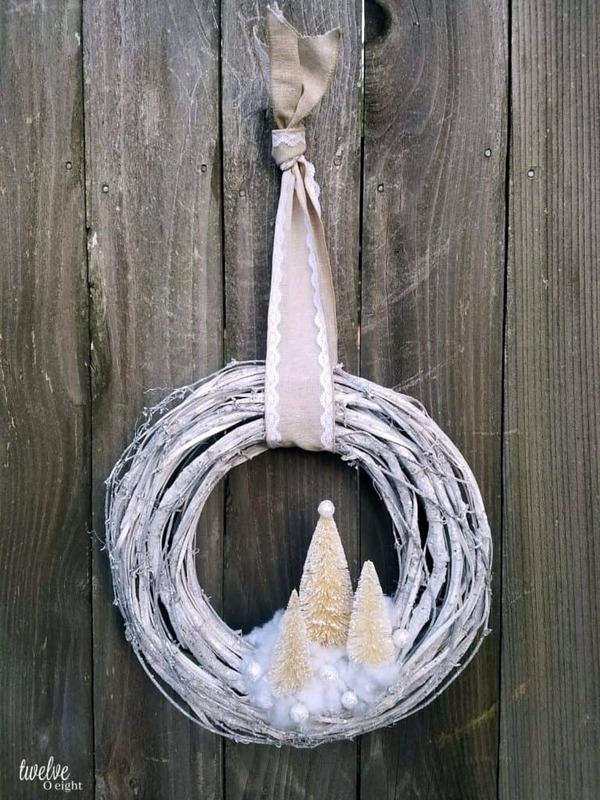 A winter-inspired wreath will give your front door a welcoming, festive touch this holiday season. Plus, your kids will love it! 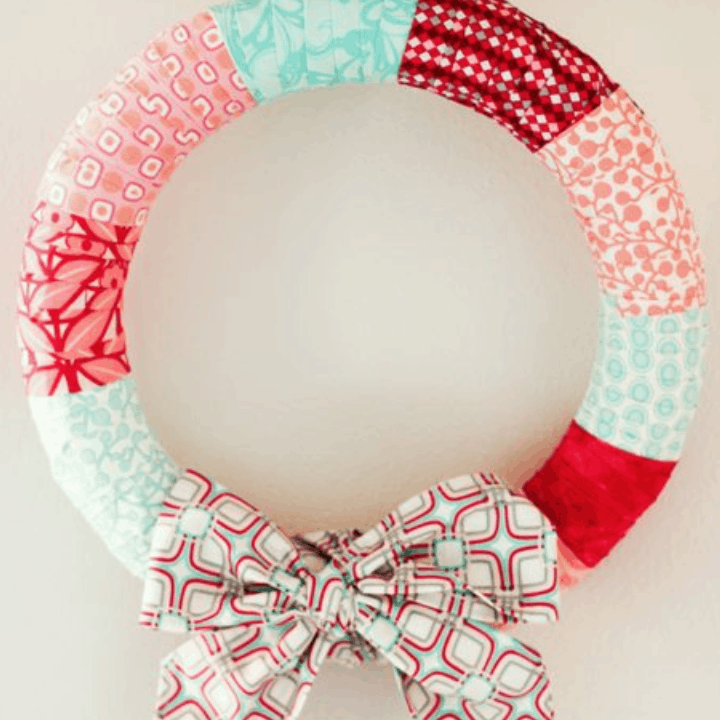 Ribbon Candy Cane Wreath. Made from wire and 2″ striped ribbon, this is a simple way to make your house look merry—it’s easy on the eyes and easy to make. 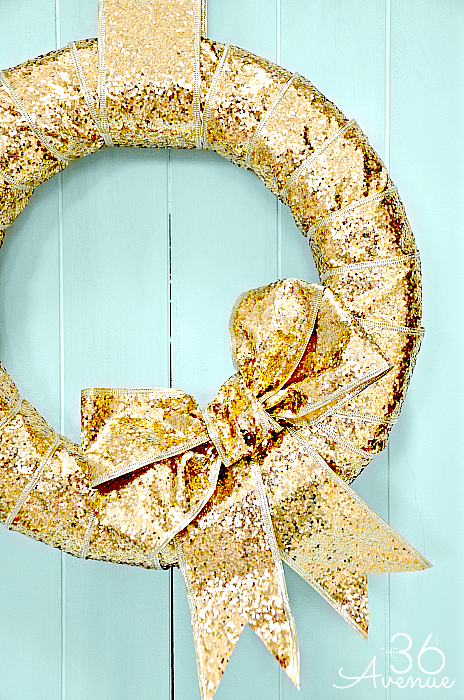 After just 20-minutes and some wrapping and hot gluing, you can make an easy tinsel wreath. Kids love making things like this. You could even add some jingle bells! 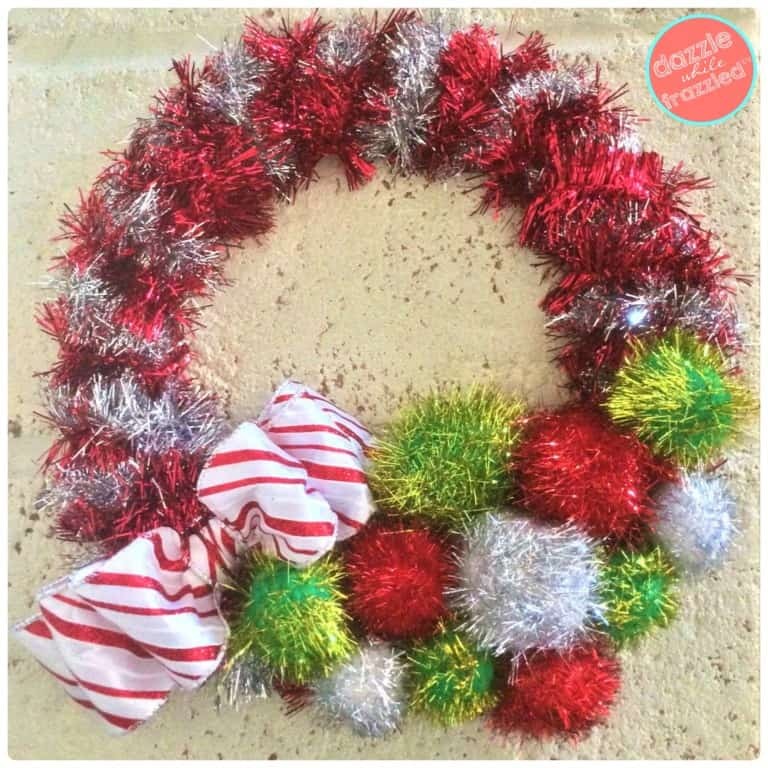 This very simple wreath requires only a few supplies and looks very festive. It is also very different. 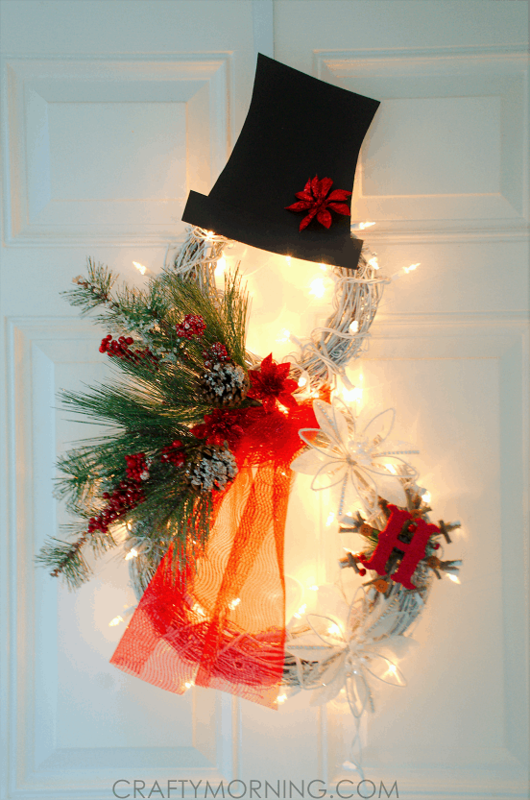 This wreath looks good indoor or out, especially on a bright red door. 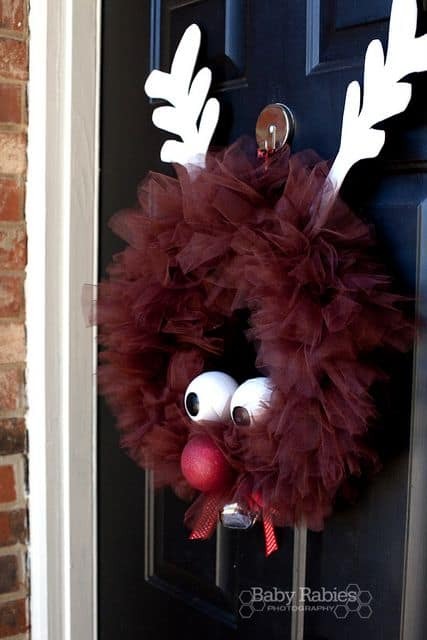 Rudolph Wreath. 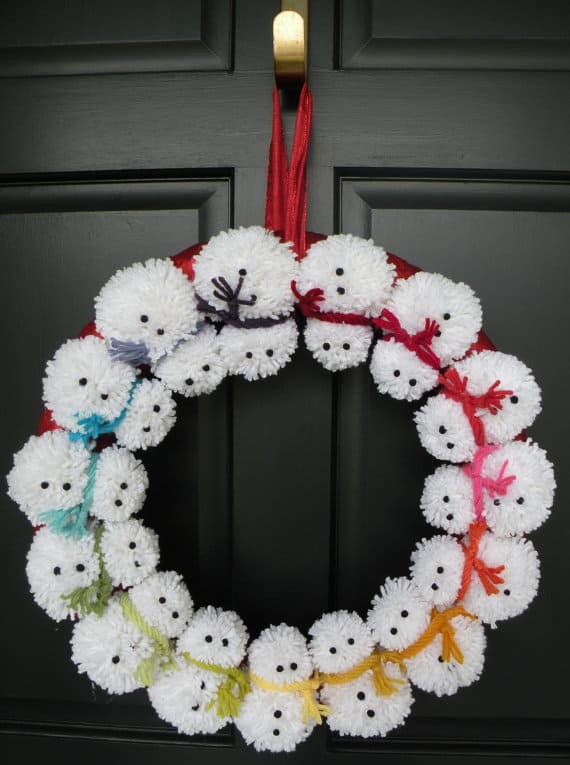 Craft a wreath that will put a smile on your face every time you enter your home. It’s embellished with styrofoam wreath form, glitter and Christmas spirit. 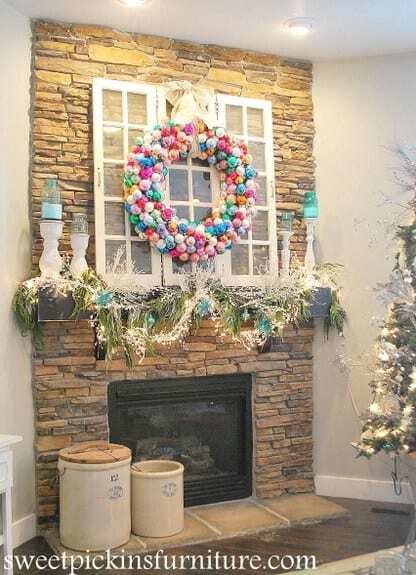 Check out this adorable Christmas wreath idea to make this year ~ a lighted snowman grapevine wreath! It is not very hard and looks great during the day and lighted at night! Just grab some spray paint and you can personalize it with any colors and monograms. 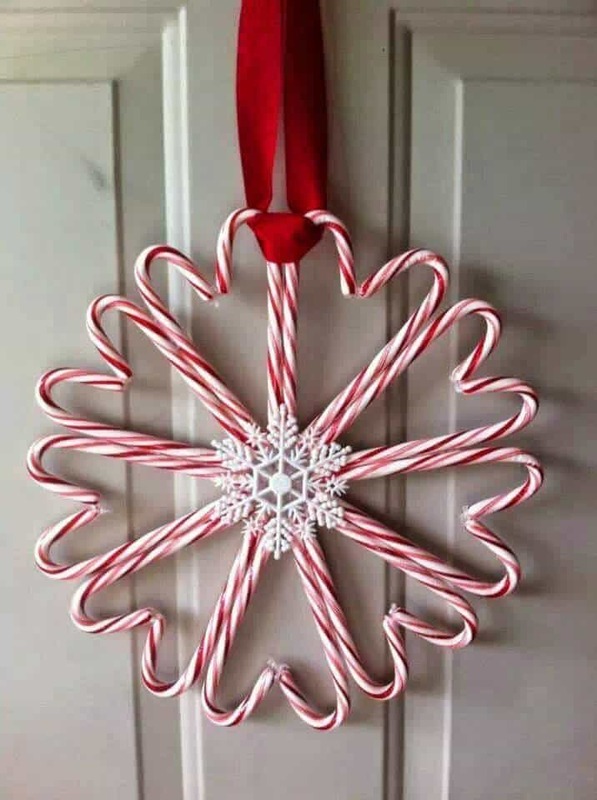 It is easy and inexpensive to make an ornament wreath. Pick your own color scheme for a more customized look. You can get cheap ornaments at the dollar store. 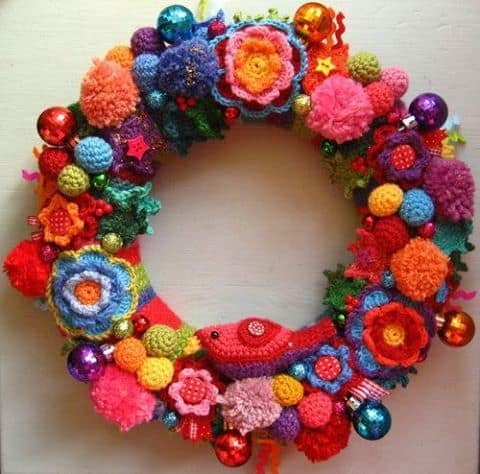 I love to crochet so this Crochet Christmas Wreath from Attack 24 is right up my alley! Glitter Bow Wreath. This super-sparkly design will transition flawlessly from Christmas to New Year’s. Lights are not only for Christmas trees. 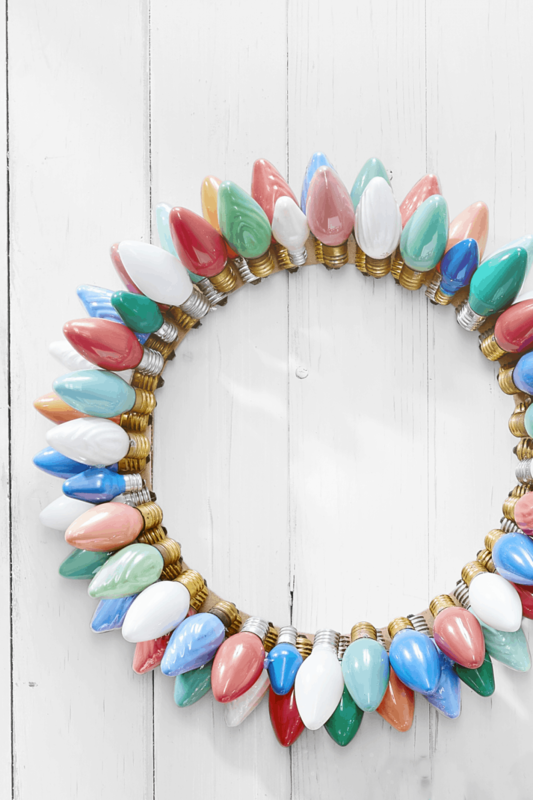 Colorful Bulbs Wreath. Hot-glue two layers of vintage Christmas lights (you’ll need about 65 bulbs) to a flat, 12-inch craft ring. 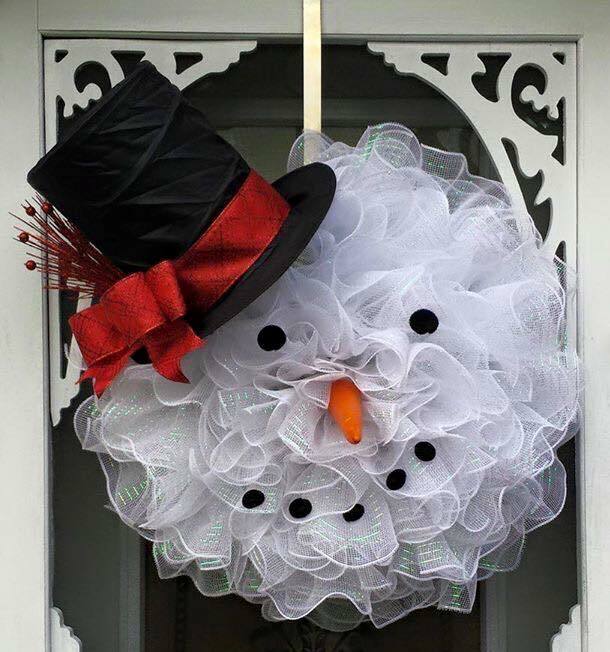 Need to hang a wreath on storm door? Yes, you can do it! 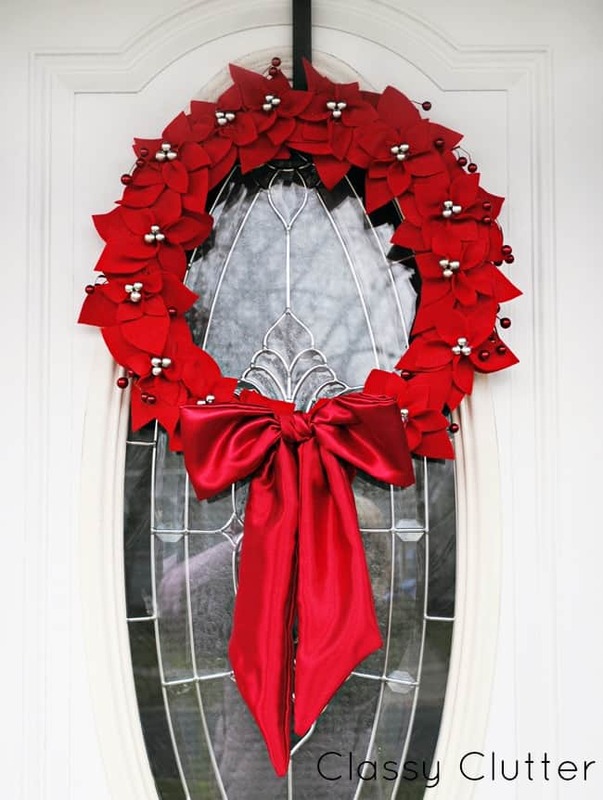 Check out this post on how to hang a wreath on a storm door. Shopping for Christmas? These stocking stuffer ideas will really help out. 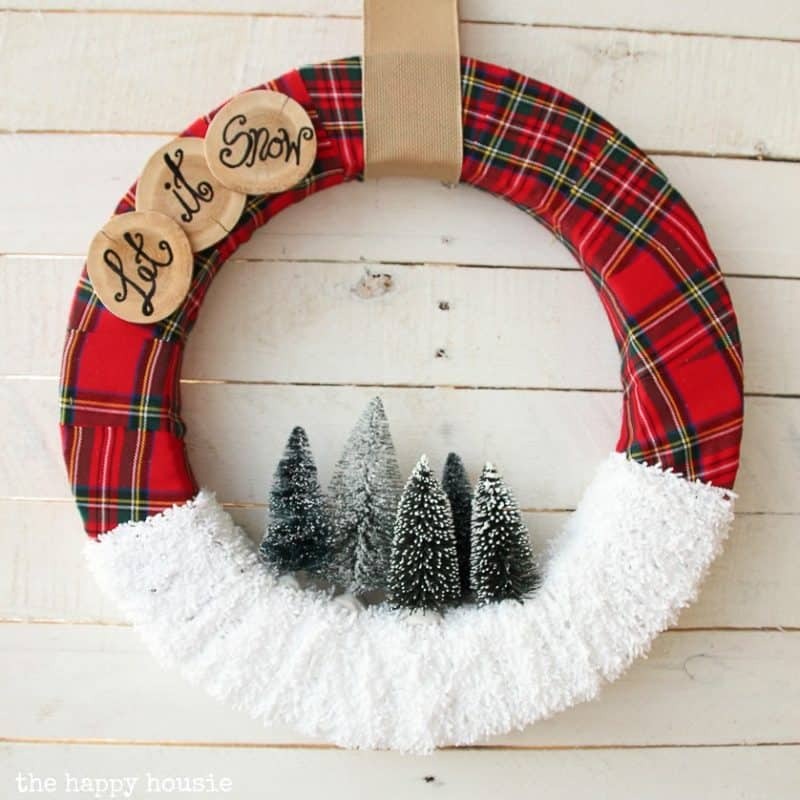 Check out 30 amazing DIY Christmas wreath ideas that you can make yourself! 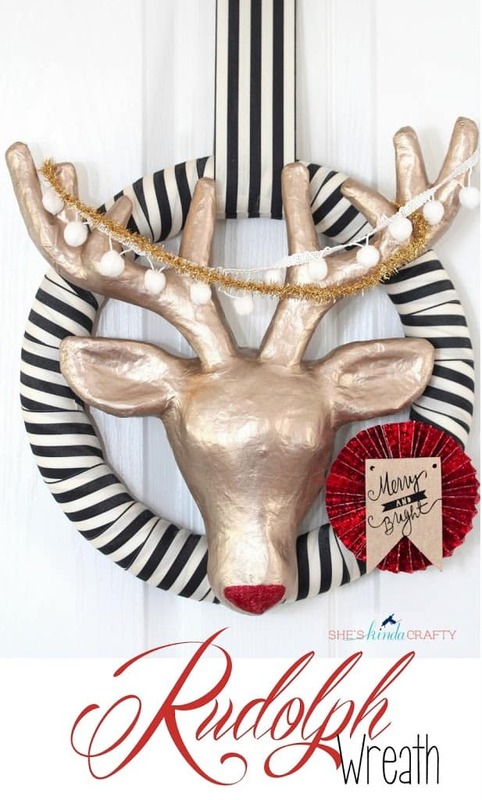 You will love these unique and festive Christmas wreaths. Thanks for the ideas! Love them!